Snake Catcher Eltham, Snake Handler, Control, Removal and Relocation, 0418576715 Eltham Based Government Licenced with over 30 years experience catching and handling Australia's most venomous snakes, We promptly come out to your home or business, We capture and relocate throughout Melbourne and the Diamond Valley, 24 hours 7 days Emergency Snake Removal. 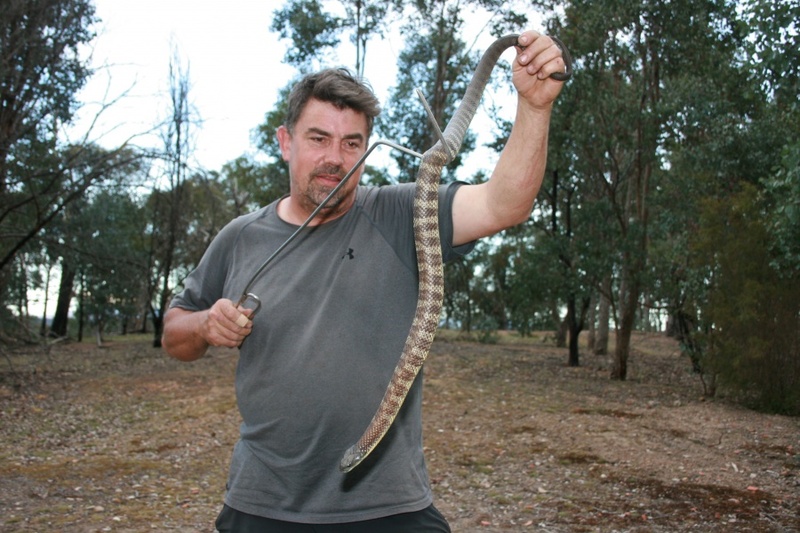 Snake catching, handling, removal and relocation of all snakes species. Some examples of the snakes we capture and relocate from Melbourne properties. Most commonly encountered in order are Tiger Snakes, Eastern Brown Snakes, Copperheads, Red Bellied Black Snakes the odd Python and the occasional Blue-tongue Lizard mistaken for a snake. 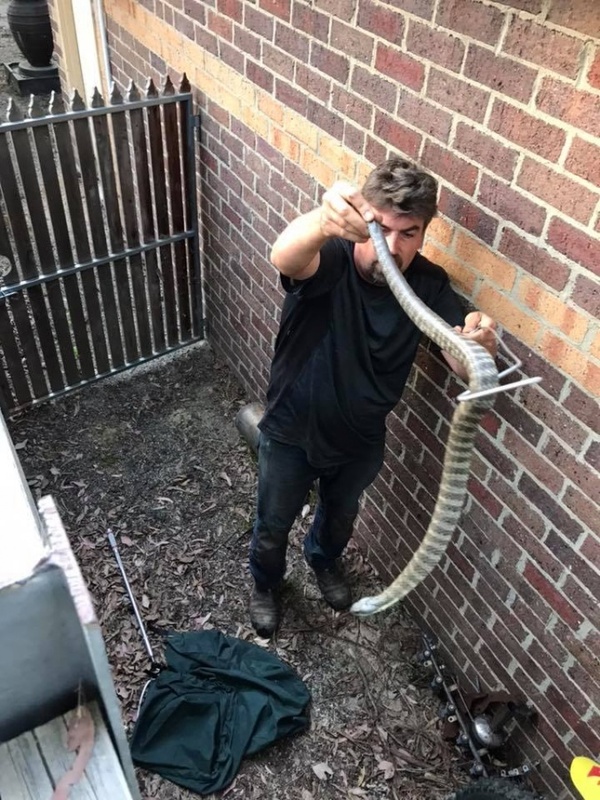 commented on "Snake Catching Melbourne, Melbourne Snakes have been very active. 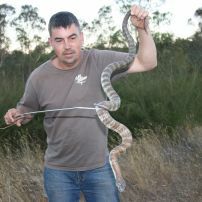 I have been catching a lot of Tiger Snakes, Brown's and Copperheads. I ..."
commented on "Busy as usual a lot of snake sightings over the past few weeks leading up to Christmas. Just be on the look out but not too ..."
commented on "Melbourne Snake activity is busy as usual for this time of year. Snake calls have been coming it at a constant rate. I have caught some ..."
commented on "Snake Catcher Eltham is busy as usual. 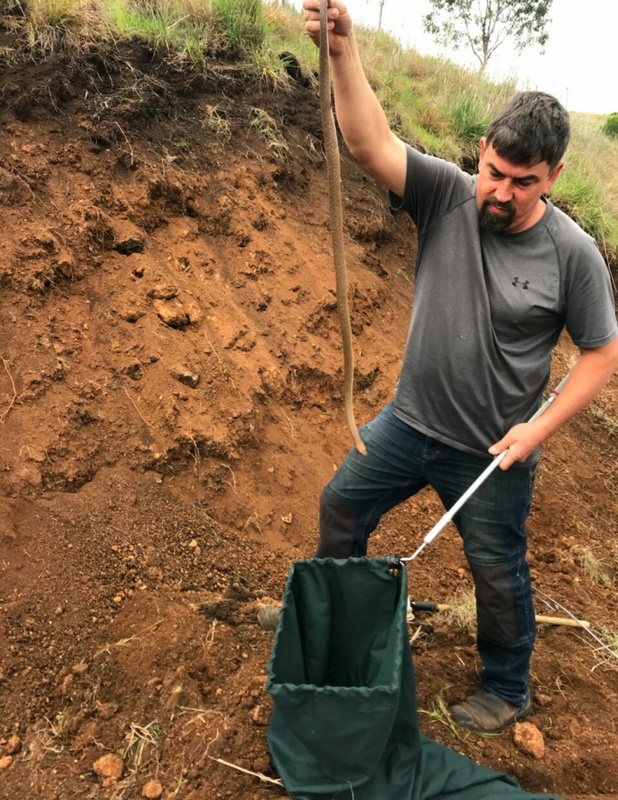 Another busy day, 3 snakes so far, Melbourne's 3 main species, Tiger snake, Copperhead and a ..."
commented on "Snake Season Melbourne has started, temperatures of 18 degrees plus means reptiles are becoming active. I have had calls from a number ..."
Lower Plenty bird aviary snake. Tiger Snake Removal Eltham pond. 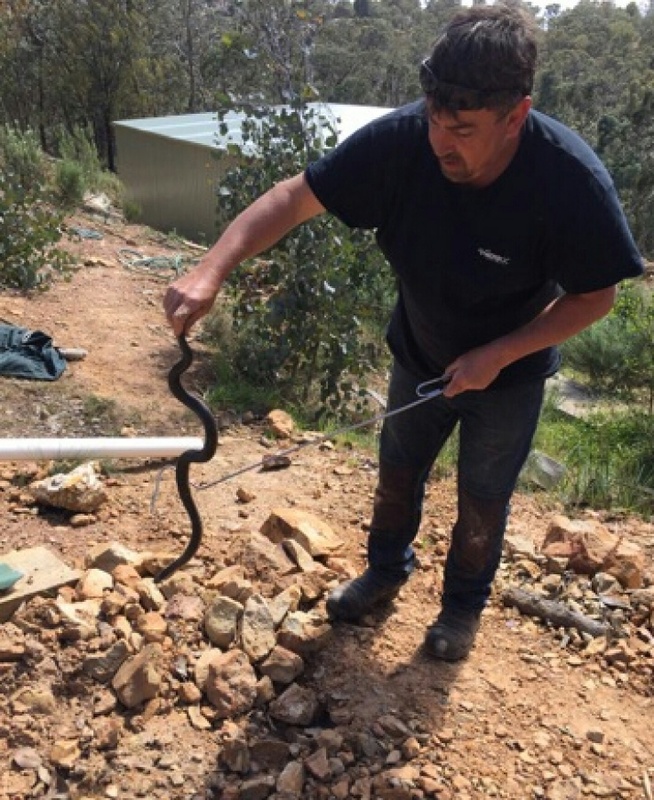 Tiger Snake Handler caught and relocated Wattle Glen. Merri Creek Tiger Snake in Coburg Toilet. Tiger Snake removal Lower Plenty. Warrandyte Brown Snake x 2 captured and relocated.